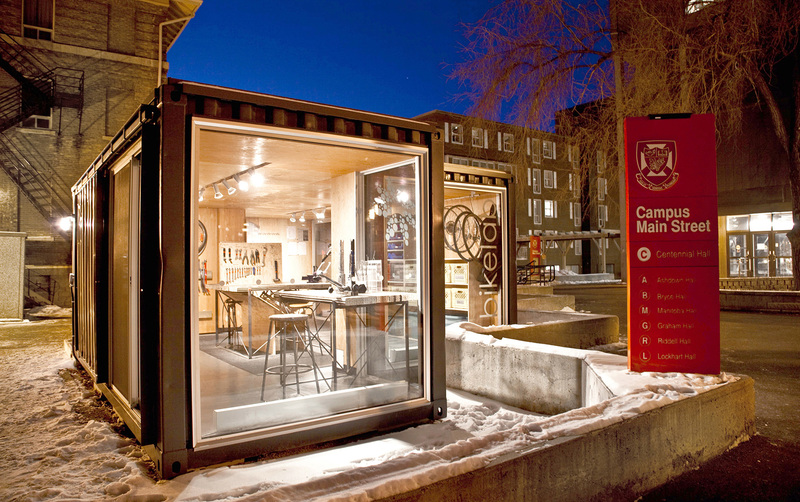 The bikeLAB was developed as one node within a new multi-modal transit initiative for the campus. 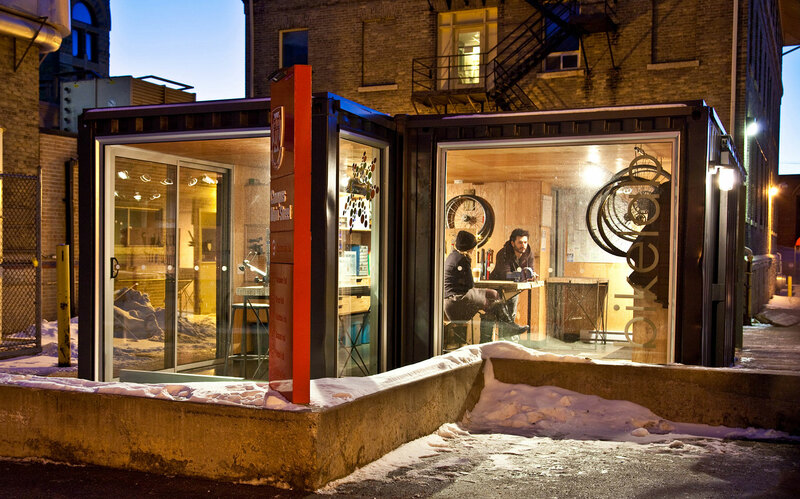 With a budget of $130,000, the project makes use of a pair of obsolete shipping containers to create a workshop dedicated to all things cycling. Volunteers provide training on cycling basics, maintenance and safety. A repeatable model for which funds, materials and site can be readily available is critical to the expansion of light infrastructure. bikeLAB presents a first iteration of this model. 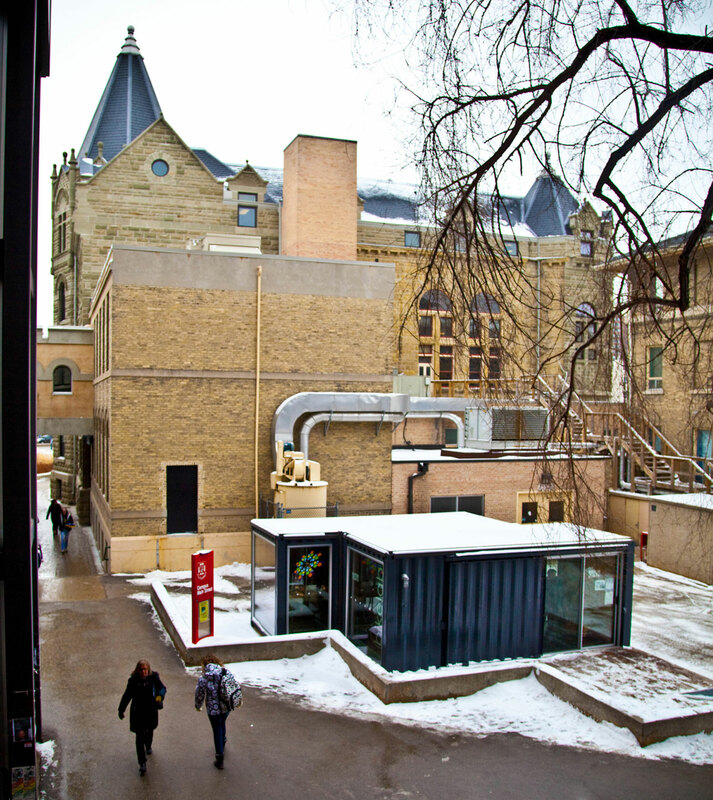 Nearly all of the materials used were recycled and the energy required for operation is provided by solar collectors and surrounding buildings. “This low-cost project was recognized as an example of the power of small gestures. It makes a high impact on a minimal-footprint. As a prototype, it offers ecological support to an alternative mode of transportation. Not only is it replicable in Winnipeg, but in any number of cities wishing to promote bicycle use. 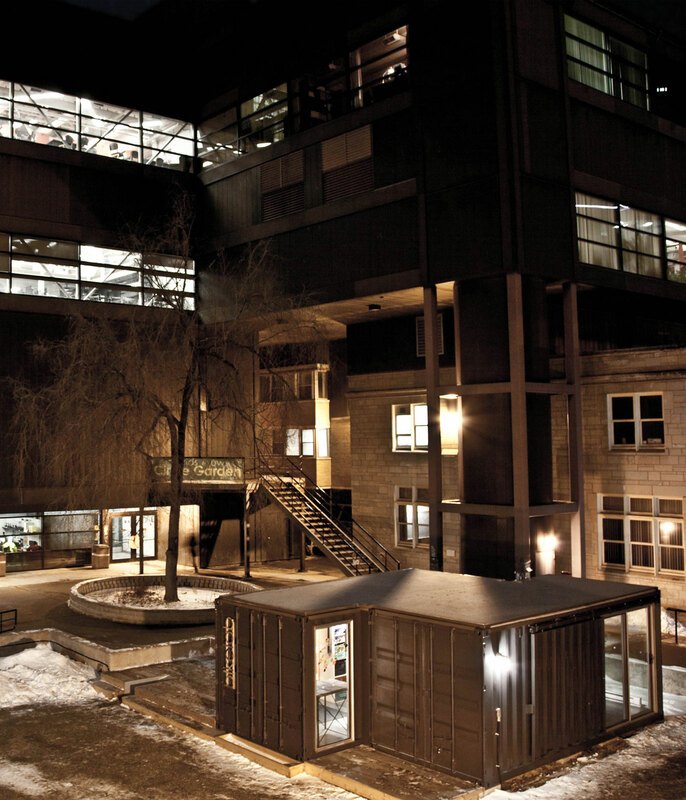 Moreover, the actual design is one of the better examples of recycling a steel container — elegant while being highly functional in meeting its purpose."